A 56-year-old woman covered in feces and urine was held captive for years by her brother in Connecticut, who locked her inside a squalid, boarded up bedroom, police said. 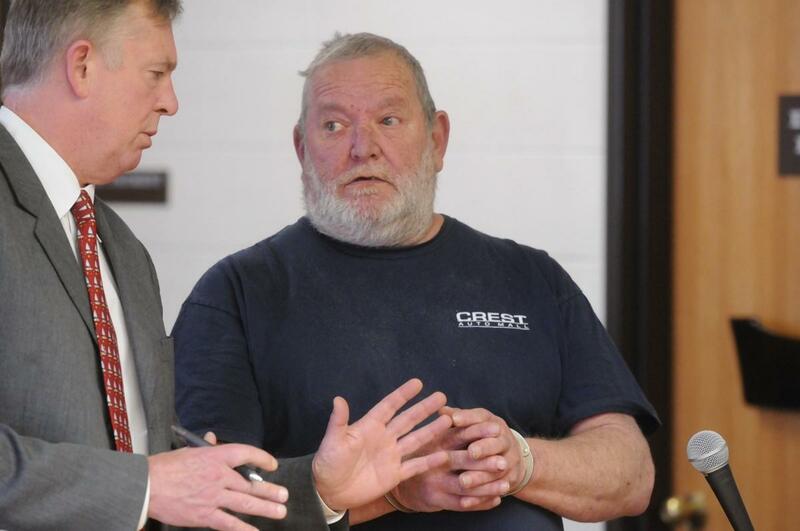 Arthur Gauvin, 58, was arrested and charged with unlawful restraint, reckless endangerment and cruelty. He was released on $20,000 bail, but was immediately arrested again after officers heard him threatening a family member and now he faces an additional charge of witness tampering. He was arraigned Friday and his bail increased to $145,000. He remains behind bars. Seymour Police Deputy Chief Paul Satkowski said the frail, malnourished woman was in dungeon-like conditions inside the locked room, where the walls, floor and bed were covered in excrement and urine. A lone window had been painted black and boarded up so she could not see outside, police said. The bedroom was kept like a dungeon. Gauvin apparently was keeping her captive so the state of Connecticut would not seize the house where they lived with other relatives, including children. The brother was responsible for his sister’s care and she had signed the house over to him about seven years ago, police said. He was to oversee her well-being for nine years before the state would bear the costs. It was not clear why she needed to be cared for. Police received an anonymous call Thursday evening by someone expressing concern over the woman’s welfare. When officers arrived at the single-story house, they noticed a strong odor, Satkowski said. They were shown to the woman’s room. Once inside, the odor was so overwhelming the officers were forced to leave. They returned in hazardous material suits. The woman was taken to a local hospital. Children’s services workers contacted because juveniles were living in the house.